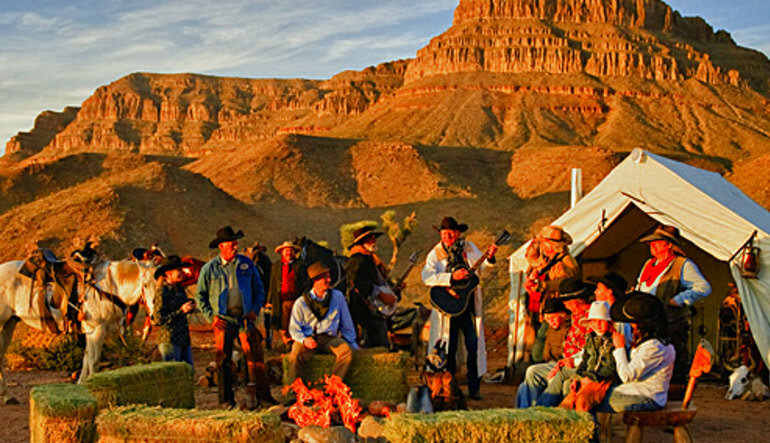 The Southwest is yours to tame on this unforgettable Grand Canyon Western Ranch horseback riding adventure. Take it all in crossing different types of terrain on your trusted mare or stallion. 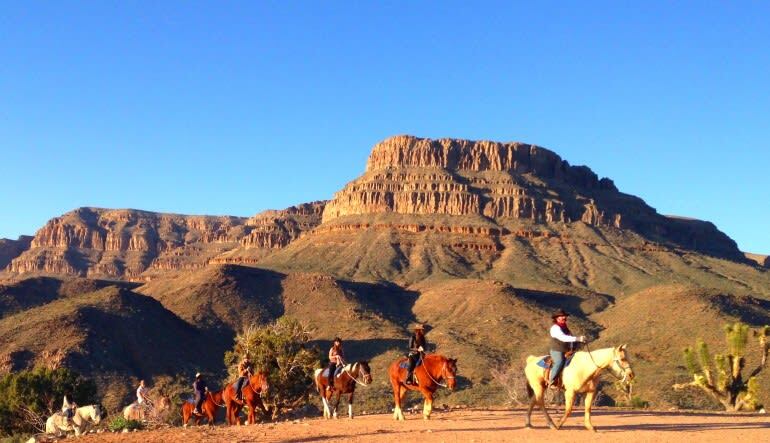 The sprawling Southwest is yours to tame on this unforgettable horseback riding adventure. Be in awe by the remarkable trail views that stretch out into the abyss. Take it all in crossing different types of terrain on your trusted mare or stallion. Apart from the Southwest scenery, you’ll also get a good look at all the wildlife that calls the desert home. Keep your eyes peeled for hawks, eagles and falcons as well as a herd of wild buffalo! Arrive a few minutes before departure to get acquainted with your friendly horse. Because it’s a scenic tour, this horseback ride caters to all skill levels. No riding experience required! Saddle up and make your way to the plateau. Soak up the scenery while learning about the landscape and hearing folktales of the old Southwest! Spot wild buffalo along with a number of other active desert wildlife. Exploring the surrounding area on horseback really puts you at one with nature. And with 90mins of riding time, nothing feels rushed!